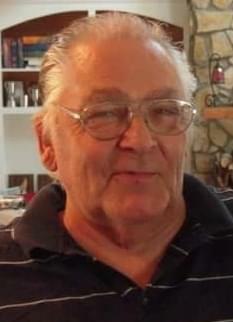 Edward Lee Sherer, 76 passed away on June 24, 2015 in Mesa, Arizona. He was born in Klamath Falls, Oregon on January 20, 1939. He was preceded in death by his parents: Melvin Edward and Carol” Edna” Knutzen-Sherer, and his grandson, Joshua Sherer. He was a carpenter by trade, having refurbished many beautiful homes. He loved to travel and over the years, he lived in California, Oregon and Arizona. A loving father and attentive grandfather, Edward is survived by his children; Cynthia (Steve) Chobot, Debra Sherer, Clover Waters, Kenneth Sherer, Angela (Curtis) Teachout, Amber (Jonathan) Burke; his step children; Ronny, Gary and Tina Watson; his siblings; Keith (Carolee) Sherer, Jerry (Lynn) Sherer and Joy (Lee) Demaris; 17 grandchildren, 7 great-grandchildren and many nieces, nephews and cousins.